Well, this morning I got robbed on the train from Paris to Cologne. I know – Happy Birthday to me. Guy went into my backpack while I was sleeping and took my small, secondary travel pack where I was storing some nonessential travel items. The train was completely full and I had placed my backpack on the overhead shelf with the zippers facing out. Yeah, yeah, bad opsec. But not to worry, I had all my important gear in my purse which was jammed between me and the window. A less seasoned traveler would be freaked out by such an experience, but not me. In fact I found it kind of exciting. I got to fill out a police report (I’d never done that before). When I was at the station they took me on a tour of the jail cells (that was pretty neat – took a few hours though). Also, now the Cologne police have my fingerprints on file – this will make any future interactions with the German authorities go a lot faster. But all this goodness aside, I find myself wondering what’s going to happen to all my things. I’d hate to think that the guy who took them is just going to throw them away – I mean at first glance it seems like a rather odd collection of stuff but if you just take a few minutes and go through everything you’ll find that there are some perfectly serviceable items in there. You know what? To make things easier for the dude I’m just going to make a list of the contents of that pack with some notes about each item. There’s a small chance that the person who robbed me is one of the thirty people who reads this blog and I’m not really one to hold a grudge. The headlamp – works fine, it just needs three AAA batteries (they’re in there too) and the clip for the battery housing is on the side. The chewing gum is Trident Freshmint flavour – you can’t get it in Europe. It’s both delicious and addictive (so be careful). The nail clippers and tweezers – heads-up: you might want to wash those. The used Gillette Mach III razor – you’re not supposed to share these so it’s probably best if you just throw it away. Same with the Chapstick. The electric trimmer – I brought this with me to trim my… um… beard – this item is perfectly fine for you to trim all your facial hair. In fact I cleaned it just last night – you can go ahead and start using it right away. The only item I’m really going to miss is the plastic holder for my razor – I’ve had that thing since I started shaving. It had this mirror that you could use to see where to put the little squares of tissue to stop the bleeding. 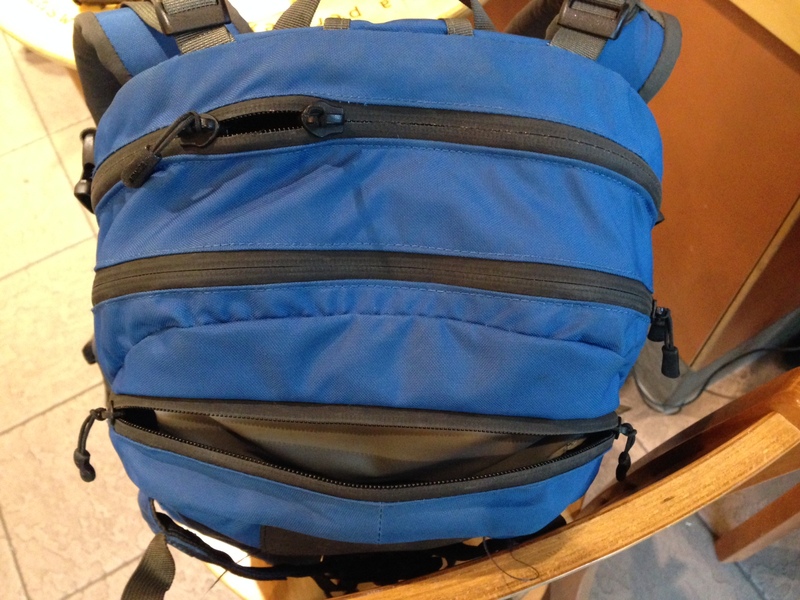 Awesome – for the first time ever, a few days ago I caught a guy trying to open the outer pocket of my backpack and take my stuff. While I was wearing it, in the metro. We had a brief but pleasant chat as I showed him the asthma medicine he would have gotten had he succeeded. Tragically, I only later realised he had indeed snagged my girlfriend’s hair brush before I caught him. A hairbrush? Really. What a douche for him not returning it. And also for trying to steal life-saving medicine. Does this mean you won’t be able to shave ever again?